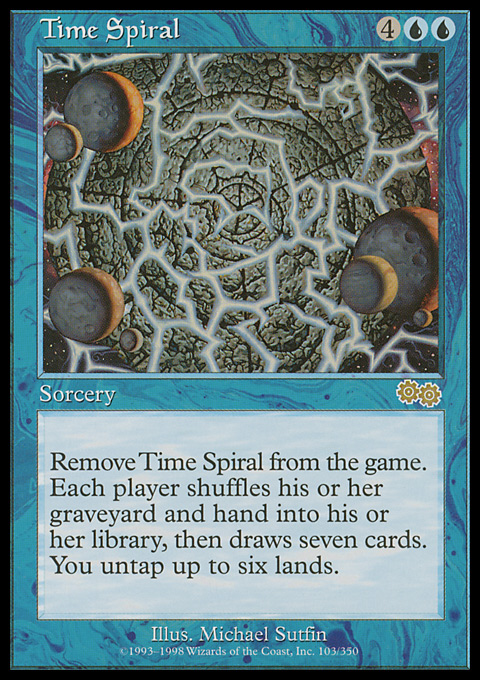 Time Spiral is on the Reserved List. 2016-06-08 You choose which lands to untap as the spell resolves. They aren't targeted, and they don't have to be lands that you control.